Rob Beckley currently leads the Hillsborough inquiry, the criminal investigations into the events leading up to the disaster. Prior to this role Rob set up, in 2013, and led operations at the College of Policing, the new national organisation setting evidence-based practice and standards in policing. In leading the core pieces of work for the College an important priority was improving the police response nationally to sexual assault. Before joining the police, Rob spent four years in overseas aid and development in Africa. His police career began in the Metropolitan Police and he has worked in four different police forces serving in all ranks up to chief constable. 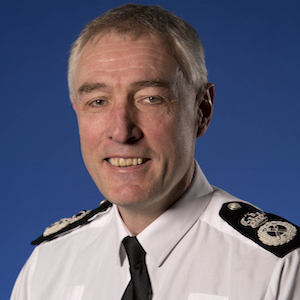 He has had roles leading local policing, criminal investigations and counter terrorism. As well as the Hillsborough inquiry he also leads a range of national projects. A recent piece of work, relevant to the panel discussions, was a review into the police policy of believing victims. This can be found here.